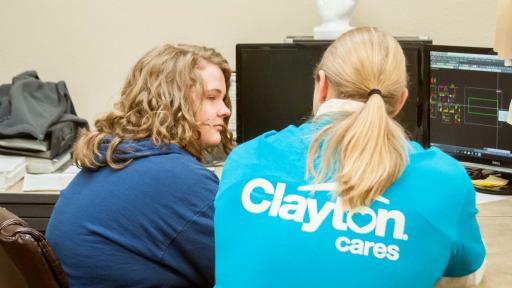 MARYVILLE, Tenn., Dec. 15, 2017 — Clayton, one of the largest home builders in America, helped fulfill the dreams of an East Tennessee Children’s Hospital cancer patient by giving him the opportunity to design a Clayton home using CAD software commonly used at home building facilities. 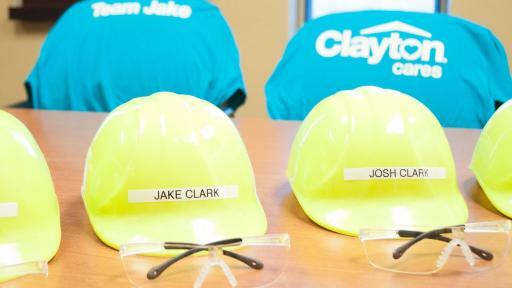 Jake Clark, 16, became an honorary member of the Clayton team on Nov. 22 during a special ‘Team Jake’ celebration event at a home building facility in Bean Station, Tenn. His interests in construction projects with his dad, a home contractor, and his talents in drawing and 3D design made Jake the perfect fit to visit Clayton. 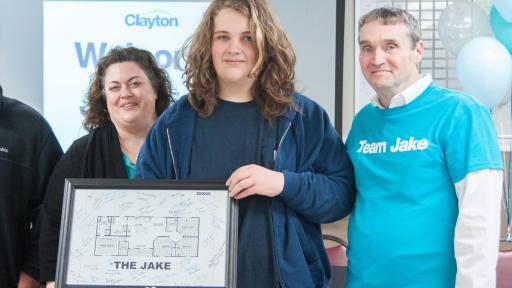 While visiting the home building facility, the cancer survivor sat with a home designer and created a home model floor plan of his own, which was named “The Jake” in his honor. 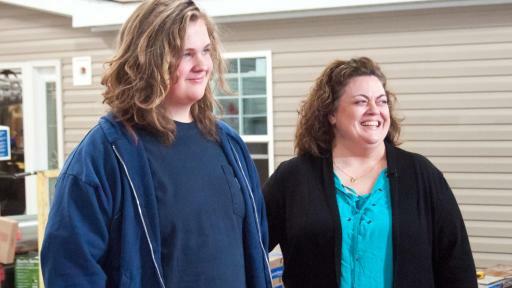 Jake was suffering from what doctors believed was an infection for nearly two years. 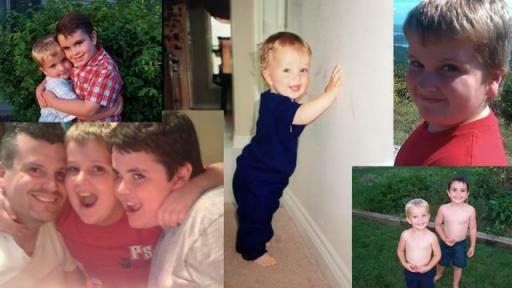 On Mother’s Day 2013, he was diagnosed with Langerhans Histiocytosis (LCH), a rare cancer that affects multiple areas of the body. 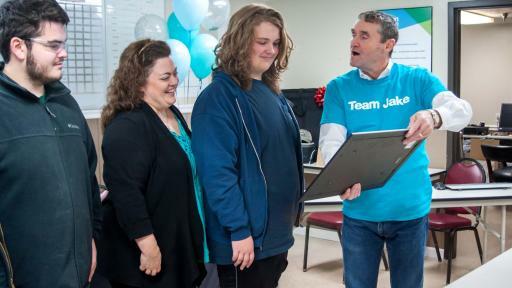 Jake endured two years of chemotherapy treatments and surgeries at East Tennessee Children’s Hospital as an adolescent cancer patient. Today he celebrates almost four years of no treatment. Prior to his diagnosis, Jake was never really creative. 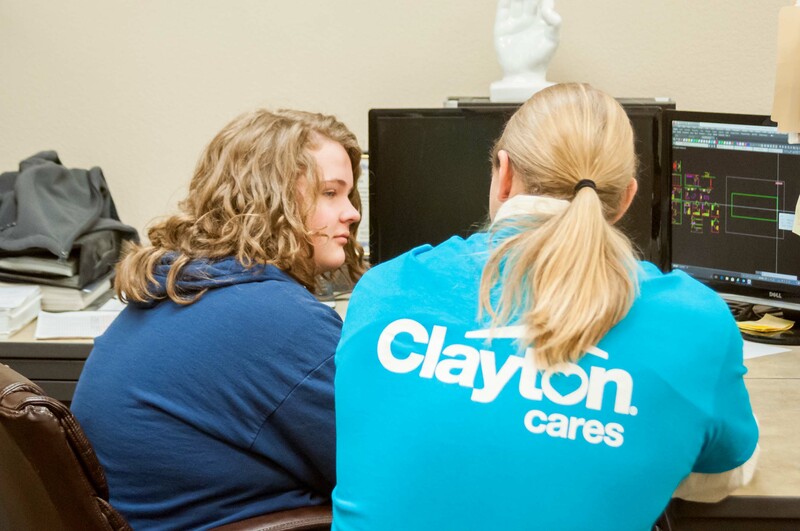 However, during treatment, he experienced a blood clot that shut down the left side of his brain for several weeks. 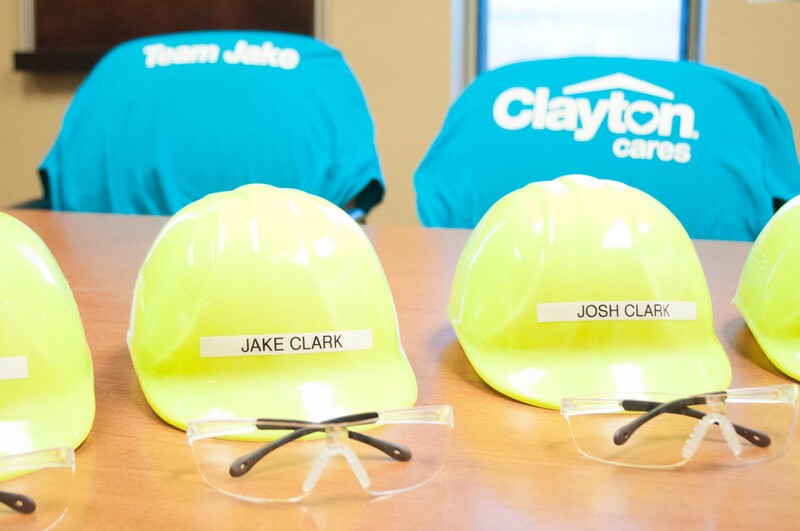 While doctors were treating the clot, the right side of Jake’s brain (the creative side) went into overdrive. 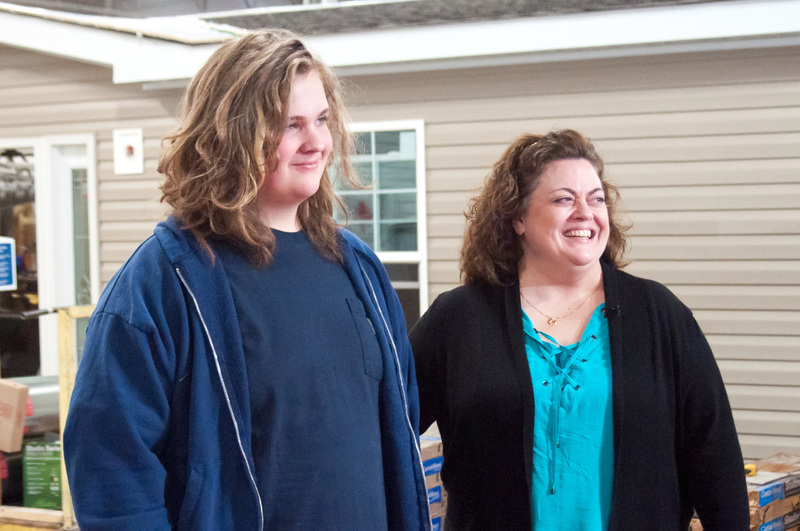 Julie Clark, Jake’s mom, believes that helped develop him into the creative person he is today. 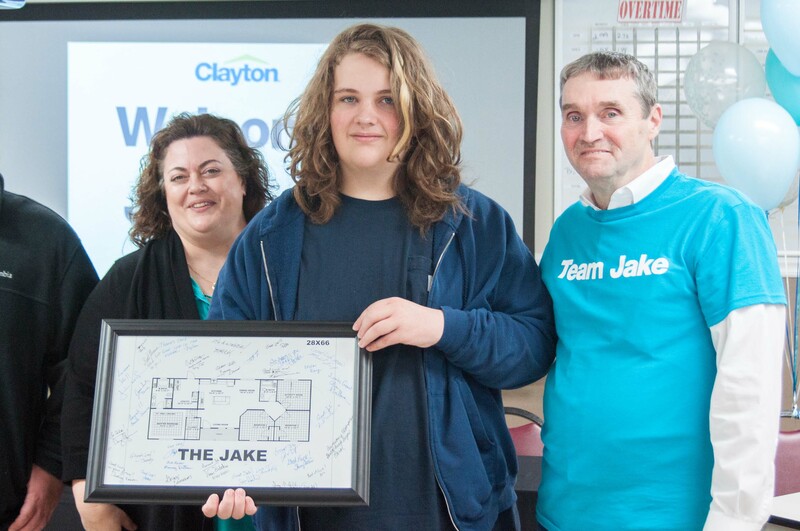 Jake’s day at Clayton Bean Station featured a full agenda that included tours of the facility to show him all the steps of the home building process, as well as a presentation of a framed photo of “The Jake” home that he helped design and several Christmas gifts. 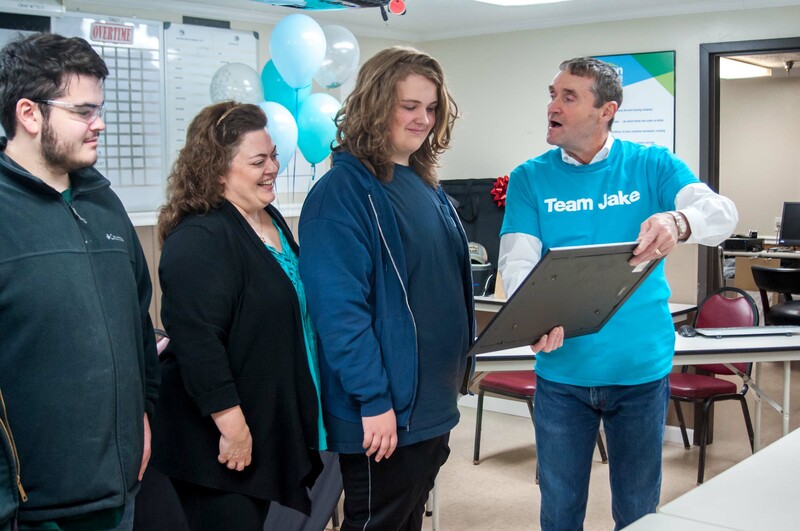 Jake plans to attend Ringling University in Florida to study computer animation and pursue his passion for graphic design and drawing.